This is a wonderful and easy recipe to either make just because you like the flavour of banana and walnuts or because your bananas need to be used up and you don't know what else to do. Preheat the oven to 205 degrees C, or 400 degrees F.
Prepare your muffin tray with liners or grease and flour each tin. In a bowl, add the flour, baking powder, baking soda, cinnamon, salt and the walnuts. Mix it up so the walnuts are covered in flour and the powders seem to be spread. In a standing mixer's bowl, add the butter and sugar, and beat until the mixture is light and creamy. Add the eggs and beat for one more minute. Add the bananas and vanilla extract, and mix until well blended. Fold both mixtures together just enough for it to be well mixed through. Spoon your mixture to the tins, and put it to bake in the oven. 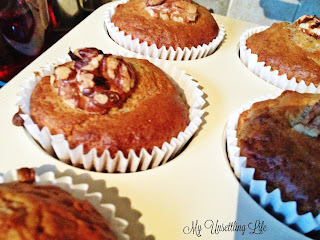 If you want to decorate a bit like I did, leave whole walnuts to add at the top of your cake, just spoon the batter in the tin, and then lightly place the walnut on top. Let it cook until when you insert a knife it comes out clean, it should take around 18 minutes. Let the muffins cool before eating. Have you ever eaten banana muffins before? Do you like the walnuts with it? 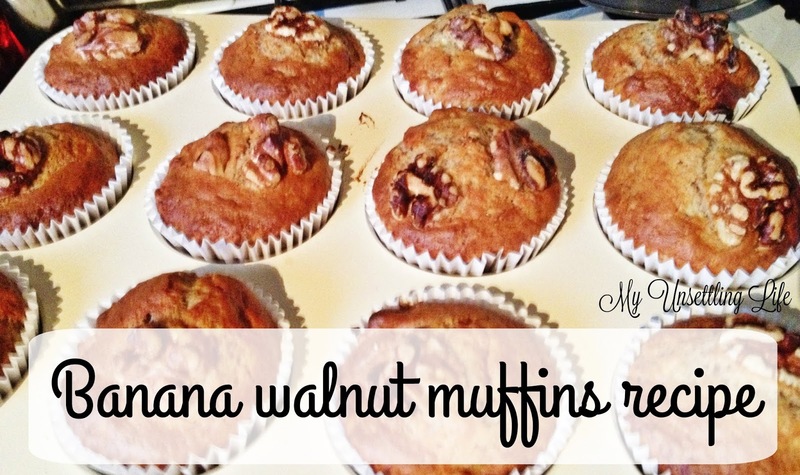 Thanks for this - I bet the walnuts and the cinnamon makes this extra delicious! I love nuts in anything! It does!!! I am even going to try and add more next time I make it. Drooling! These look SO delicious! Looks really yummy! I like the mix of fruits and nuts in my desserts. yes they most definitely are! 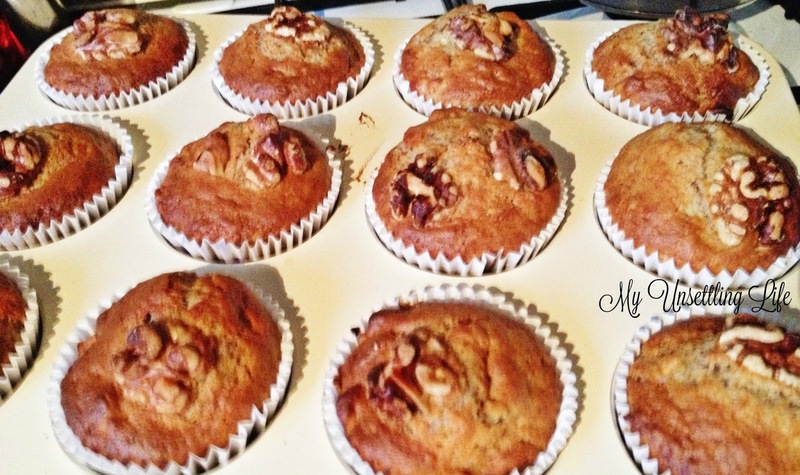 Ooo, banana muffins are the best! This recipe looks SO GOOD! I literally just got too many bananas and said to my hubby, well I can make banana bread! Perfect timing, will let you know how they turn out. My hubby would love these. I'd have to adapt it to gluten free but I think that's do-able! Thanks for sharing!